MyYearbookBuilder is the most versatile and dynamic digital yearbook publishing solution available and offers users complete control over their production environment. Administrators can quickly and easily customize their production environment to satisfy all school policies and/or regulatory requirements, without detrimentally affecting the overall quality of the final production. 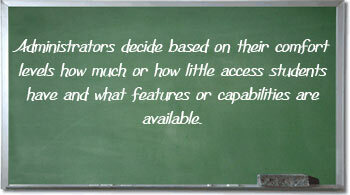 Do you want students to have more access or less access, more features and capabilities or less? The choice is yours and is easily implementable. Simply configure your desired production environment during the application and registration process and MyYearbookBuilder will do the rest of the work for you. MyYearbookBuilder offers an Administrator-driven Solution or a Student-driven Solution to satisfy all customer production needs and requirements. For information regarding specific production environments, please select Administrator-driven Solution or Student-driven Solution. *Yearbook administrators can select one of our partially-customizable yearbook templates for their final layout at no additional charge or they can elect to build a fully-customized layout at additional cost. MyYearbookBuilder is available for College Yearbooks, High School Yearbooks and Middle School Yearbooks.